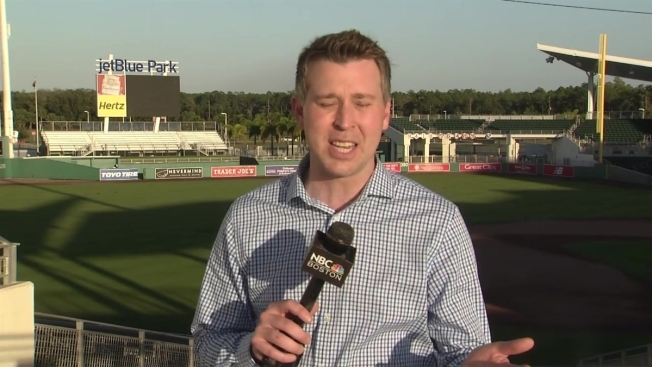 NBC Boston sports anchor Raul Martinez discusses several of the 2017 Red Sox storylines heading into spring training, including the leadership void, Chris Sale, and Pablo Sandoval. The 2017 Red Sox spring training is ready to roll in Ft. Myers, Florida, as pitchers and catchers report on Monday and will begin working out on Tuesday. The rest of the Red Sox report on Thursday and will take the field on Friday. There are several storylines taking shape this spring, as the Red Sox prepare for life without Big Papi. David Ortiz, who retired at the end of the 2016 season, was the face of the Red Sox, as well as their most prolific power hitter. While Boston will look to fill Ortiz's void in the lineup, it also remains to be seen who will step into the team's leadership role. All eyes will be on pitcher Chris Sale, the superstar who was acquired from the White Sox during the off-season. Sale will headline a formidable trio of starters, with 2016 Cy Young award winner Rick Porcello and David Price. Pablo Sandoval has lost weight and is ready to battle for the starting job at third base. Red Sox manager John Farrell says the position is up for grabs.